National General Accident and Health is a branch of the National General Holdings Corporation. It focuses on providing short term and supplemental health coverage. All National General health insurance products are underwritten by four other companies focused on insurance. All four of those companies are permitted to provide health insurance in all of the states and the District of Colombia. The underwritten companies are each responsible for the product the company is associated with. National General currently utilizes Aetna Open Choice PPO Network for Individual and Family Health Insurance. National General Accident and Health has five products available to customers. The first is Short Term Medical, which is an insurance policy that can be purchased for a full year in most states. The next product is Supplemental Insurance, which is for unpredictable medical expenses. National General Accident and Health also provides Dental Insurance. Fixed-Medical Benefit is a product that offers set benefits on medical expenses. Finally, National General Accident and Health offers Medicare Supplement Insurance. Short Term Medical insurance is designed to be an affordable insurance policy. The plan will provide financial protection for medical bills and other expenses related to health care. The plan will cover doctor visits, hospital stays, lab, x-rays, medical equipment, surgeries, etc. The Short Term Medical plan also covers emergency room visits and ambulance rides. Urgent care benefits are included in the plan and most plans cover Urgent Care with a $50 Copay. Get a Quote On Short Term Health Insurance. The Short Term Medical Plan includes a wide variety of deductible and coinsurance choices to help settle upon a plan that best fits a budget. Coverage can be provided as soon as the next day, so there is not a long period between application and effective date. The plan will also allow a physician to be chosen through the national Aetna Open Choice PPO Network. It is important to remember that this plan is designed to be short term, but healthy consumers often buy this coverage and their primary health insurance. There is also no guarantee that everyone will be eligible for this plan, as there is underwriting and pre-existing is not covered on temporary health insurance plans. The Supplemental Insurance Plan is designed for unforeseen medical issues. For example, a sudden onset and diagnosis of a critical condition would be included with supplemental insurance. There are no network limitations on doctors, so people are free to choose any physician they like and cash benefits are paid to the insured. There are many different options to choose from, so a plan can be created for any budget. Accident plans are available to cover accidental medical expenses, such as a broken bone. The Accident plans provides coverage for unexpected expenses related to accidental injuries, such as broken bones, cuts, sprains, etc. Some plans also offer coverage for accidental death and dismemberment. The Accident Fixed-Benefit plan is effective immediately and provides a cash payment to the insured person to help make up for unexpected medical expenses. Hospitalization Sickness coverage is another possible supplemental plan. This plan helps cover hospitalization and related costs. It helps people keep financial stability whether because of deductibles or because of primary insurance having high deductibles. This coverage will pay cash directly to the insured to help with costs, allowing a person to use the money in a way that benefits them the most. There are also Critical Illness plans. These plans are designed to help pay for treatments related to acute illnesses, or simply a cash benefit to the insured to help make ends meet while they are ill. The Cancer and Heart/Stroke plan gives a cash benefit to a person when first diagnosed with cancer, heart attack, or stroke, and it can be used in any way deemed necessary by the ill person. The Critical Illness – Term Life plan functions identically to the Cancer and Heart/Stroke plan, but it extends coverage a whole family rather than an individual. The final supplemental plan offered is the Multi-Coverage Out-of-Pocket plan. Included here is the TrioMed plan, which provides supplemental insurance for the previous three types of coverage. It provides coverage for accidents, hospitalization, and critical illness. A plan enhancer can also be purchased. The enhancer provides a larger benefit. As these plans are supplemental, it is important to remember that they do have limited benefits. The Supplemental Insurance plans are not meant to replace primary health insurance. The availability of coverage does change state to state, so it is important to remember that as well. These products are priced very well and are very popular with consumers. National General Accident and Health offers two different dental insurance plans. 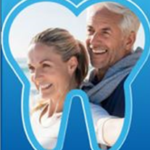 Both plans provide access to the Careington Maximum Care Dental Network. Understanding these plans is important because dental health affects the health of the rest of the body. Dental insurance can help to keep dental health ventures affordable. The Dental PPO plan offers an average of 40% reduced rates on dental. It includes three benefit levels, so it is easier to find a plan that fits one’s budget. This plan also has no waiting period for preventive care, so the needed coverage can be received almost immediately. The plan also provides discounts for all major and basic dental services. The Dental Indemnity plan works differently than the Dental PPO plan. The Dental Indemnity plan will pay a cash benefit for dental checkups and treatments. Since this helps to catch small dental issues before they become large expenses, this plan mostly focuses on preventive care. There is the option to add a discount of around 42% to the plan, and there are no waiting periods. The Dental Indemnity plan does have a higher out-of-pocket expense for customers. The goal of this plan is to rethink health insurance. Most health insurance plans are expensive, and copays and deductibles tend to get in the way of any benefits being usable. Rather than being waited down with deductibles and copays, customers are paid a set dollar amount on covered health care services. This helps the insured come up with money to pay their deductibles and copays. This plan plan also has a network of providers to choose from to access lower rates. The plan comes with some other perks. When in-network providers are visited, there are discounts available for covered health care services. Health care is more easily attainable because there are no waiting periods and the benefits are easy to use. The plan will also give access to telemedicine and discounts on prescriptions. The Fixed-Benefit Medical insurance plan is easy to use. All customers must do is present the insurance card at check-in. From there, the in-network health care provider will inform the insurance company what services were given to the patient, without the need of claim forms. The customer pays the remaining medical expenses once network discounts and benefits have been deducted. The Medicare Supplement plan is designed to provide supplements for costs that may not be covered by Medicare Parts A and B. The plan provides a way to pay for unexpected health care costs without having to dig too deeply into savings. With this plan, set percentages are paid on covered on Medicare services. The deductibles and copays vary from plan to plan. The plan provides some advantages. There are no network restrictions other than the doctors accepting Medicare, and no referrals needed for visits to specialists. For those living with a spouse, then the customer is eligible for a 7% discount on the premium for the household. There is a 30-day trial period, so if a customer dislikes the plan and returns it within that time period, the customer will be reimbursed any paid premiums. The plan renews automatically and the premium increases or decreases along with Medicare deductibles and coinsurance. There is no waiting period, so a person is eligible to receive benefits the moment the plan goes into effect. Finally, there is no paperwork associated with filing a claim, the insurance card just must be shown to the health care provider and Medicare benefits are paid directly to the provider. National General Accident and Health has a variety of insurance products. This allows people to choose what is best for their health care needs. The company also provides many different payment options for its products, so a plan can be selected to fit many budgets. National General Accident and Health offers affordable insurance in the short-term, the long-term, and for teeth. Plans to supplement outside insurance are also available at affordable prices.